Rich The Kid connects with YG for "Goin Krazy." 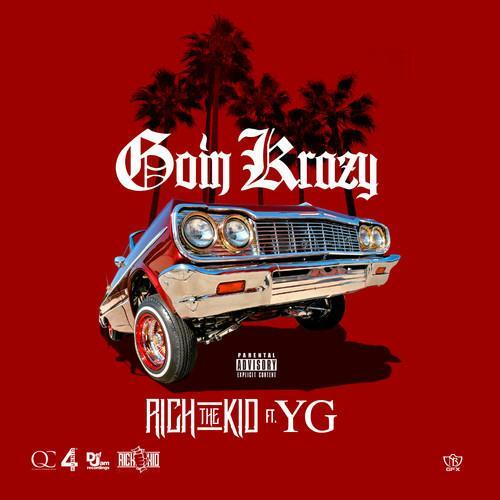 Rich The Kid makes a Bompton connection today with his new leak "Goin Krazy," representing YG's penchant to turn his C's to K's (and it very well could have been a B replacement). While Rich The Kid is an Atlanta representative, he takes a heavy West Coast influence for his YG-featured record, with a g-funk inspired beat and thick synths. Are you feeling the collaboration? The song is off Rich The Kid's upcoming Rich Than Famous EP, due out on Christmas day. If you missed it, "Droppin A 100" featuring Skippa Da Flippa is another recent leak off Rich Than Famous. We're also still awaiting Streets On Lock 4.